September 20th, 2015 Saint Paul, Minnesota. The stage was set for the Albatross Nepalese fans at +Bedlam Lowertown. 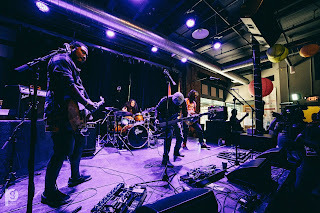 With weeks of preparation for this concert by the Association of Nepalese in Minnesota, the crowd was excited to see a Nepalese band perform this far from home. People from across the state and some even out of state reached out to experience the performance of Albatross. 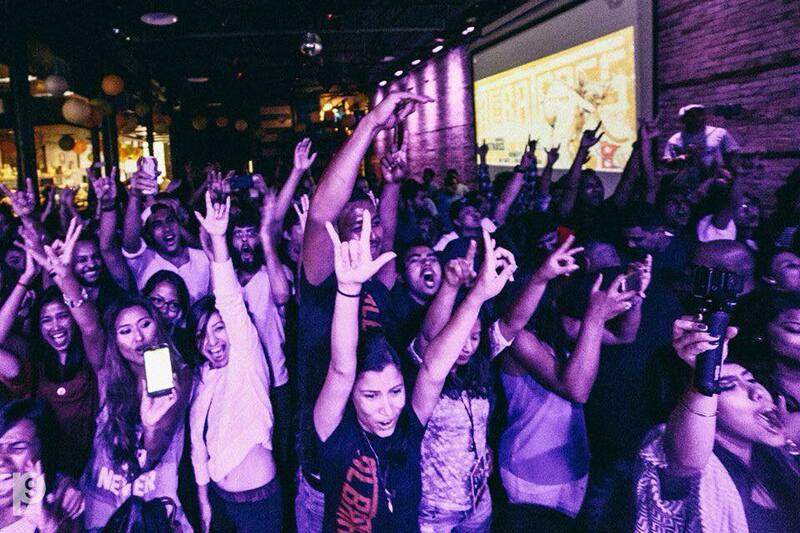 Having toured Australia and UK already, it was time for Albatross to perform in the United States. And they did a good job with their exhilarating performance, exciting the crowd with their hit songs. The band is currently touring USA. The concert included songs from their recent album Ma Ra Malai which included Manav Nai Danav, Garikhana Deu, and more, and songs from previous albums Timi Bhane, Aawaz and more. 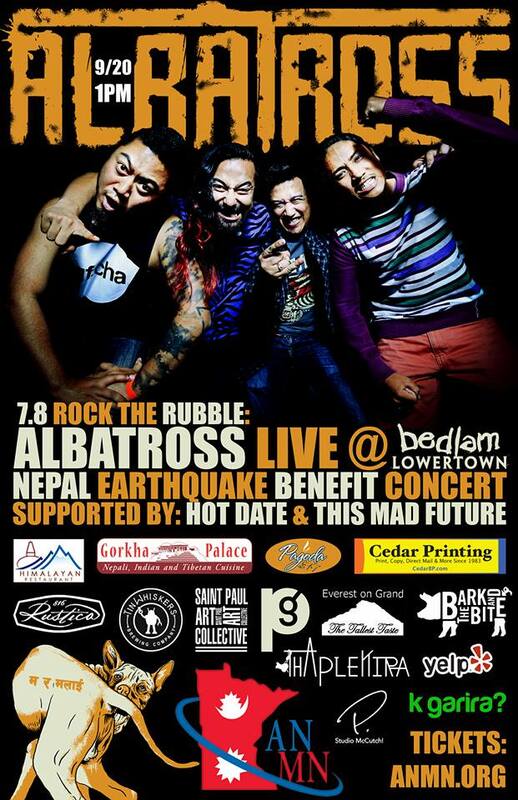 7.8 Rock the Rubble benefit concert was also in support for the earthquake victims in Nepal. It also included T-shits and goodies for purchases for the earthquake relief fun. Albatross was previously supposed to play in +SXSW, South by Southwest music festival in Austin, Texas but then the Earthquake happened and the unforeseen circumstances prevented them from performing there. Hopefully they might be able to perform in +SXSW 2016 and become the first Nepali band to do so. Their next tour is on October and information about the tour for Dallas can be found here: Albatross "Gari Khana Deu" Dallas 2015. Further information about their US tour can be found here: Albatross Gari Khana Deu US tour 2015. 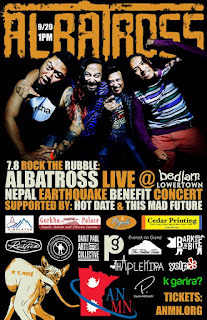 For those Nepalese in the tour area, do enjoy the concert. You'll definitely like it.